The work discusses the application of service-oriented architecture, geographic information-analytical system of geoecological monitoring. Keywords: geoelectrical monitoring system, the geographic information and analysis system, GIS, system monitoring, geo-ecology, geo-ecological monitoring. Dorofeyev N.V., Kuzichkin O.R. Allocation algorithm irregular perturbations of the geomagnetic field on a network of stations // Mathematical and software of computer systems. – Moscow: Publishing House of the “Hot Line – Telecom”, 2007. – P. 28-32. Kuzichkin O.R., Orekhov A.A., Kuligin M.N. Measuring channel recording system geomagnetic signals // Questions electronics. 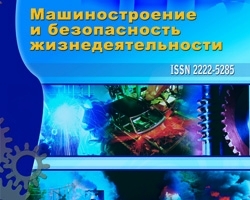 2010, T1, № 1. – P. 122-128. Dorofeyev N.V., Kuzichkin O.R., Orekhov A.A. Initial signal processing in distributed networks registration geomagnetic field. // Information Systems and Technology, №4, 2010. – P. 119-122. Pavlov S.V. Service-oriented architecture in the worldwide enterprise GIS // Management, Computer Science and Informatics. – Ufa: USATU, 2010, Vol. 14, № 5. Automated global geoecological monitoring on the basis of GIAS, Dorofeev N.V., №2 (12) 2012, Orekhov A.A., Romanov R.V.